Coming to the door with fresh flowers on a first date might seem like a sit-com cliche, but with so few real life episodes that involve bouquets, a date that starts with flowers is sure to be a night to remember. Rather than just pick up any prearranged mixed bunch from the grocery on the way home, stop into your local florist and pick out one or two stems that make an impact. Whether you are looking for something more traditional or a bloom that is a little on the wild side, you’ll be sure to find a good match from the choices below. 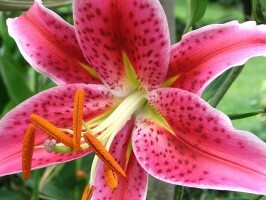 If a candlelight dinner and a bit of stargazing are the plans tonight, pick up just a single stem of Stargazer lilies. 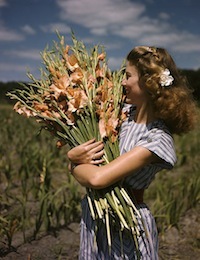 With several large, pink, fragrant blooms that open up to reveal a dark throat and an intoxicating scent there are few women that wouldn’t count these among their favorite flowers. Mixed with a few simple greens like bear grass or seeded eucalyptus, these flowers look elegant and expensive, but will cost less than the more common roses with baby’s breath and leave a much more refined impression. 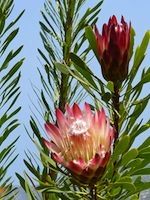 Rather than a large bouquet, choose a stem with one open flower and several closed buds that will open over the next week. The scent will linger, just like her thoughts of you. 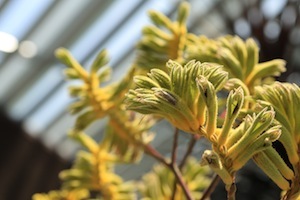 Kangaroo paw is a rather funny looking flower that has found its way into floral shops around the country. Native to Australia, hence the name, these tall perennials have a fuzzy flower that is tubular and divided into parts, giving it the look of a paw. In bright reds, flashy yellows and funky oranges, a few stems of the flower tucked with a few feathery greens as an exotic look that will last for weeks in a vase. Tall and often gracefully arched, two or three of these stems wrapped in plain brown paper and tied with a string or ribbon have a daring and natural look and are perfect for a date that involves a hike, bike or other adventurous outing. After figuring out what to wear and where to go, figuring out what to say may be a challenge for some folks. Just like Seymour suggested in Little Shop of Horrors, a strange and unusual plant may be a great way to get the conversational juices flowing. 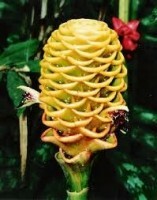 Rather than a flesh-eating plant from outer space, consider the torch ginger flower. 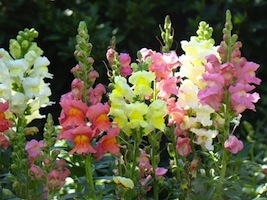 These bright and tropical stems have a honey-comb like shape and come in bright colors. Related to the actual herb ginger, which grows from a rhizome, showing up to someone’s doorstep with a couple of these beauties is sure to get you talking.